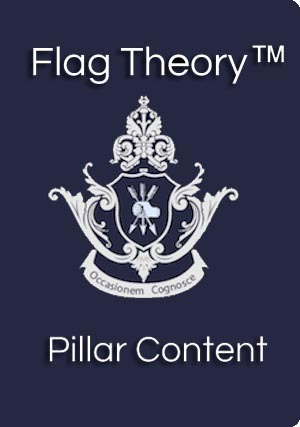 This is part of our Pillar Content of Flag Theory™ where we detail how you can take a well proven strategy for protecting and growing your self and your wealth apply it. The strategy is comprised of 7 flags, and Tax Residency is the 2nd flag. An ultra important flag to plant, as it is the basis for determining your personal taxation. Most countries tax their citizens on a residential basis – in other words, individuals pay taxes to the country in which they reside. However, there are important exceptions, as you will see below. For example, the United States and Eritrea are the only countries that tax their citizens regardless of where in the world they live. Furthermore, if you are a resident of a country with CFC laws, or anti-avoidance laws, you should be very careful when establishing a legal structure, and seek professional help. Many a well-intentioned entrepreneur have faced high taxes, despite having incorporated their company offshore, because they live in a high-tax jurisdiction that has controlled foreign corporation (CFC) laws. What is CFC law, and how does it impact residency? In general, CFC laws render a foreign corporation that is controlled from within a given jurisdiction taxable in that jurisdiction. As such, it makes sense to pick a country that does not have CFC laws when selecting a residency, assuming that following through with a Flag Theory plan and owning shares in an offshore company is important to you. Speaking broadly about all CFC laws is difficult because anti-avoidance laws often vary greatly from country to country. However, we’ve taken the time to look through these laws, and have posted on Incorporations.IO an updated list of countries that have or do not have CFC laws (just click on “No CFC laws,” as shown below). You can view all the countries that have or do not have CFC laws on Incorporations.IO. Where can I quickly become a resident of a 0% income tax jurisdiction? How can I become a resident of Turkey? I’m a location independent entrepreneur (digital nomad) where should I plant a company flag? How many days do I need to spend per year to become a permanent resident or citizen? Some people mistakenly think that you can travel constantly (permanent travel) and, as a result, not have a tax obligation anywhere. Living as a “perpetual tourist” is something that you must be very careful about. Let me explain. 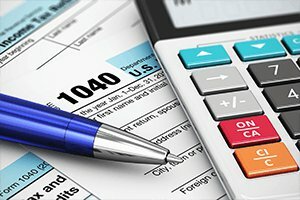 Some high-tax jurisdictions have specific residency laws that relate to the intent, and if you have been living in another country but have not established an intent to move permanently, they can claim that you were in that country only as a tourist and that you have always planned on returning home. This would still make you a tax resident of that high-tax jurisdiction. One must be very careful to ensure this situation does not happen. It is important to look for a country that has a tax treaty with the country where you were previously a resident because this can help you avoid “double taxation,” give you clarity in your tax affairs and allow you to structure your business accordingly. You can see which countries have tax treaties with other countries on this page on Incorporations.IO. High-tax Country O (your previous residency) does NOT have a with Country N (your new home). You are in a bit of a grey zone, as both countries could claim you owe them tax. This is a dreadful situation called “double taxation”. You cannot refer to a treaty – so how do you have certainty in such a case, where there is no tax treaty between both countries? Look at the tax laws of the country you lived in previously (for instance, the Statutory Residence Test (SRT) in the UK) is a piece of legislation that governs this body of law. If there is a tax treaty, oftentimes it will include aspects such as how many days you will need to be present in Country N in order to become a tax resident there. Remember: you want to be a legal tax resident of Country N. Oftentimes, countries will offer documentation that can support this, such as a certificate of tax residency. Pay some tax in Country N. This doesn’t necessarily have to be a tax on earned income – it could also be a tax on interest earned from a bank account, royalties, or other sources of income that you bring into the country. You will likely need to get a tax ID and also actually make some tax payments. Pay close attention to the “time in country” aspect of the residency laws. So, you’ve taken the “permanent traveler” route and think you are off the hook for any taxes. Not so fast… many countries have laws on residency that relate to your intent, and they state that if you intended to return (i.e. you didn’t get a tax residency elsewhere), you are still a tax resident of that country. Worse case scenario (and I’ve seen this happen) if you ever do return, they could possibly tax you for every year you were gone. They would claim that your intent was always to return. You didn’t get a new tax residency, you don’t have any certainty. You might get away with it, you might be fine – or you might not. This depends entirely on the country in which you were previously resident. This is why the second flag of flag theory is residency (and has been for 50+ years) because it’s VITAL to establish a proper tax home in a low tax jurisdiction before you begin your journey as a permanent traveler. Keep meticulous records. Used plane tickets, utility bills, bank account statements, lease agreements, passport stamps, and any and all documentation that can prove that you are lawfully residing in the Country N, in case Country O demands that you still owe it taxes. Properly close down affairs in Country O. Things like closing down accounts, or even sending an email to your neighbors telling them you are moving abroad and don’t intend to return – and retaining this email for your record – can be useful in proving your intent. Intent is oftentimes a very important determining factor used by tax authorities to prove whether you are still a tax resident! Use Tax Treaties & Use the law to your advantage! If you have a bright line ruling, or legislation, or case law to support yourself, then you are in a much better position. Don’t be an ostrich, stick your head in the sand, and pretend it’s not happening! California, New Mexico, North Carolina and Virginia are a few of the more tricky ones. California, in particular, is tough – you have to prove that you have no intention of going back to live in the state, and hence sever ties by giving up your driver’s license, voter registration, and even bank accounts there. I’ve had firsthand accounts from clients and friends who say they have had money withdrawn from their accounts for California state taxes, even though they have lived abroad for years. B. Bona Fide Residence Test: This will allow you to travel to the US for more than 30 days per year, but it is trickier to apply for. There are a lot more contingencies and it is not a bright-line test. If you need to talk to a CPA who can advise you on this, we will be happy to make an introduction. The situation for Americans is a little bit different from those from other countries, so it is best to examine your personal situation with the help of a professional. Does the country have CFC laws? If not, good! Does the country have a tax treaty with the country of which you were previously a resident? If yes, good! Do you need to collect payments in the country? If so, is there withholding tax? If no, good! (You can click on withholding tax here to see if there would be payments withheld. Are you able to get a tax residency document/certificate of some kind from this country? Has a professional or tax authority given their approval? You’ll likely have to take steps to get the residency document. As an example, this is how you would get the document if you are a tax resident of Thailand. They should then issue you a tax number, but you may first need to go to Immigration to get a certificate or letter of residence. These are certificates that the Revenue Department can issue in English, which can be used as proof of your tax status in Thailand, in case the country where you were previously a resident asks for it. While the above is specific to Thailand, other countries will likely be able to provide you similar documents to prove your tax residency. Q: What is residency for tax purposes? A: Since most countries tax on a residential basis, residency for tax purposes is where you are normally present, and earn income. A: Residency for the taxes purposes is usually determined by the amount of time spent in the country, assuming that you meet the laws for being there legally and that you hold the right visa. Q: What residency is right for me? A: That is a good question! Start by examining Passports.IO and looking at your global options for residency. It may make sense to look at where you can quickly achieve permanent residency or citizenship, if that matters to you. Q: What is a tax residency certificate? A: A tax residency certificate is issued by a country to certify that yes, you are a tax resident there, and yes, you do pay taxes there. This document is often used by taxpayers as a protective measure against countries that claim that the individual owes taxes, even though he has not been present in the country for most of the year and pays taxes in another country. 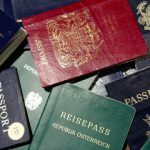 Q: Is residency the same as citizenship? A: Residency is not the same thing as citizenship. In many countries, a permanent resident may be entitled to some privileges, but he is not given the same rights as citizens, nor is he granted a passport. Q: How does residency work for a digital nomad? A: You will likely be a tax resident of the country you previously left, unless you take specific steps to relinquish that burden. Traveling constantly and being outside the country for most of the year is no guarantee that you are no longer a tax resident of that country. It would be better for you to be a tax resident somewhere (even if it is just for a year, but be careful with this as well). Q: What is dual residency? A: I’m not sure what this question means, but yes, it is possible to be a resident in more than one country at the same time. However, if both countries have a tax treaty, any negative consequences from double taxation will likely not affect you adversely, and you will probably have to pay tax in only one country. Make sure it’s a double taxation convention (DTC), and not a tax information exchange agreement (TIEA). DTCs deal with matters of taxation and individuals, and how they are treated for tax purposes. TIEAs are oftentimes information exchange agreements, and not much more. Q: How much does New Zealand residency cost? Q: How long does a New Zealand residency application take? A: New Zealand residency applications and the time you will need to spend in the country before applying for permanent residency or citizenship vary according to the visa you are on. The government does a very fair job of this (in my opinion) by incentivizing entrepreneurs and investors differently. It’s simple: the more you invest, the quicker you get residency. The most common visa programs are the Entrepreneur Work Visa, the Entrepreneur Plus, the Investor and the Investor Plus (with the Plus programs requiring a larger investment). In general, you can apply for citizenship after three years of residency. Q: How do I apply for permanent residency in Hong Kong? A: Hong Kong is one of the most difficult places in the world to receive permanent residency. Here is an article with more information on HK residency. Q: How do I apply for residency in Singapore? A: Applying for PR in Singapore is similar to New Zealand in that it depends greatly on which type of work pass you are on. If you are on an investor visa – the EntrePass – you get preferred treatment, because that visa is so much harder to get, and requires an investment in the country. If you are on a normal work pass (an S Pass, for instance), you will likely be given preference based on how much you earn. This may seem unfair, but it is actually a fairly decent measure of how valuable you are to your company, and hence the country. You can apply through the Ministry of Manpower website using your SingPass. Q: How do I claim residency in Florida? A: Claiming residency in Florida can actually be very beneficial to American digital nomads who want to place their domicile in a low-tax state before they leave the US (see the above section for more details). Q: How do I apply for residency in Spain? If you are an investor and can buy Spanish real estate – you can apply for instant permanent residency. Q: How do I apply for residency in Canada? A: The Canada program has changed constantly over the years. You are required to be in the country for a certain period of time in each of the past 3 years. If you are French Speaking, you are at an advantage as you can apply for the Quebec immigration program. Otherwise, you might check out the Prince Edward Island immigration program. Q: How do I apply for residency in Malaysia? A: You can apply in Malaysia under the MM2H Program (the My Second Home Program) which is a fairly good visa and relatively easy to meet the criteria. Here is a link to an article. Q: How do I apply for residency in the Philippines? A: There are a few different ways! 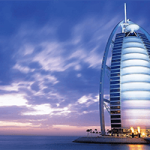 You can start a business (here is a structure for business in the Philippines with a UAE holding company. We cover those and the SRRV retirement visa here. Here are some more of our pillar content articles.